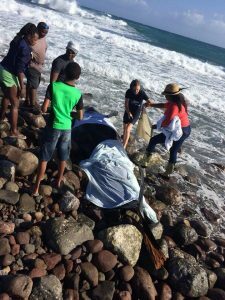 On Saturday 10th February, 2018, Nine Short-Finned Pilot Whales beached themselves on Dog Bay and at Garlin Bay at Indian Castle, Nevis. 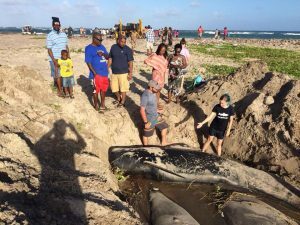 There were mammoth efforts to save three of the nine whales and transport them to be released back into the ocean. Unfortunately one died while being transported. 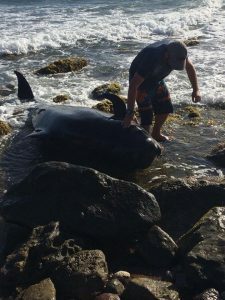 Therefore, two of the nine Pilot Whales were saved and released into the ocean. Permanent Secretary Huey Sargeant-Ministry of Fisheries et al. 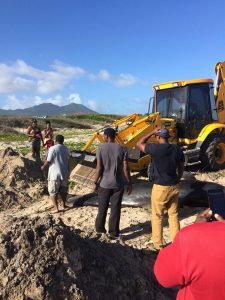 in Nevis, Thema Ward – Physical Planning and Environment, Nevis and Lemuel Pemberton- Nevis Turtle Group were leading the efforts. 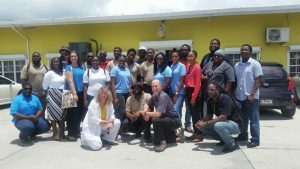 They were then assisted by a delegation from St. Kitts namely Kharim Saddler-Fisheries Assistant (DMR), Sara Ramirez -St. Kitts Sea Turtle Monitoring Network, Paul Fyre and Kelsey Johnson – ROSS University School of Veterinary Medicine. 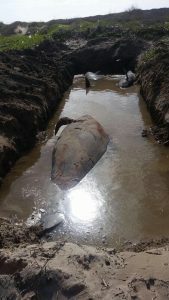 Necropsies were performed and samples taken in order to help determine a possible cause of beaching. Of the nine whales; 2 were females, 3 were males and the other sexes unknown. The average length of the whales were 3.6 meters or 11.8 feet. 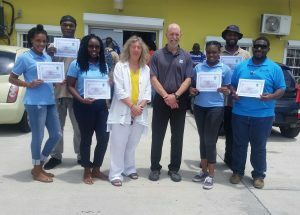 The Department of Marine would like to extend gratitude to the Indian Castle/Gingerland and surrounding area community members, fishers, students, volunteers, researchers and Government entities such as the St. Kitts Nevis Coast Guard, Department of Agriculture St. Kitts, Physical Planning and Environment Nevis. 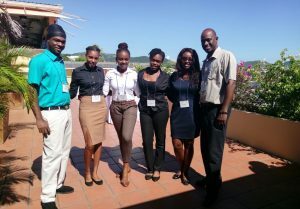 The Department of Marine Resources (DMR) has taken part in collaborated activities with Ministry of Tourism under the theme, “Good For Us, Better For All.” In observance of the International Year of Sustainable Tourism for Development, the Caribbean Tourism Organisation (CTO) and the St. Kitts Ministry of Tourism organised a Climate Smart Sustainable Tourism Forum 2017, to promote sustainable ability practices and enhance the climate resiliency of the Caribbean Tourism. The forum was held at Ocean Terrace Inn (OTI) from 11th-14th December, 2017 bringing together local regional and international representatives from public and private sector tourism entities, as well as development agencies that offer programming in sustainable tourism. 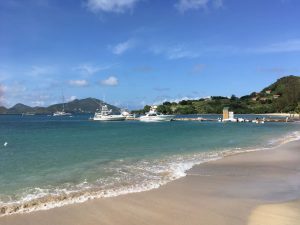 Leading The Way – Destination St. Kitts – tackling common issues for Small Island Developing States and created truly sustainable solutions to maintain this balance. Speakers on this session were: Carlene Henry-Morton – Permanent Secretary, St. Kitts Ministry of Tourism, Dianille Taylor-Williams – Assistant Secretary, St. Kitts Ministry of Tourism, Tricia Greaux – Marine Management Areas and Habitat Monitoring Officer, Department of Marine Resources (DMR), St. Kitts. 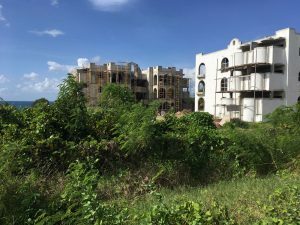 Tourism Resiliency through Climate Change Adaptation & Mitigation – strengthening resiliency through adaptation and mitigation strategies that buffer tourism industries from environment catastrophes. 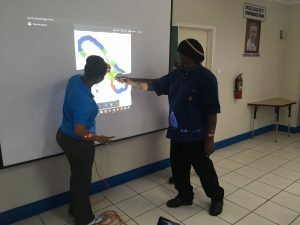 Leading The Way – CTO in Action – holding fast to their vision to position the Caribbean as the most desirable, year round, warm weather destination. 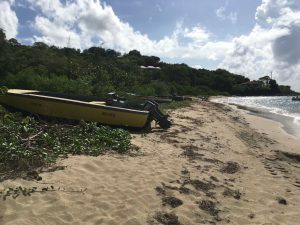 Climate Change as an Opportunity – discovering solutions that help businesses to thrive on the context of future climate conditions in the Caribbean. Innovative Models & Best Practices in Sustainable Tourism – enhancing working knowledge of sustainability models to maximize new markets opportunities. Risk management for Sustainable Tourism – networking with the experts and forge relationships with partners to seek a process of crafting well-defined disaster management protocols. 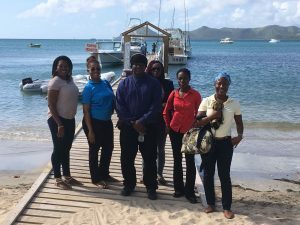 Moving Tourism Development Beyond National Borders – experiencing St. Kitts with field visits to provide a platform for destination’s showcase. 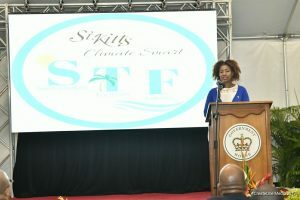 The CTO was honoured to partner with St. Kitts & Nevis to host this forum, which will explore various facets of sustainable tourism, in view of the threats and opportunities for regional tourism development, as a result of climate variability and climate change. Tricia Greaux giving Welcome Remarks at the STF Launch. Marine and Beach Conservation Officers with the guest speaker Gregory McKenzie. 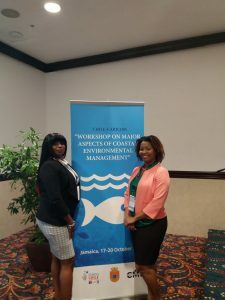 Representatives from the Federation of St. Kitts and Nevis are attending the Chile-CARICOM “Workshop on Major Aspects of Coastal Environmental Management” held in Kingston, Jamaica from October 17-20, 2017. The Embassy of Chile, FONDO Chile and the Caribbean Maritime University hosted the workshop with an objective of Marine Litter Action Plans for the participating countries. Participants from each country delivered presentations demonstrating the similarities between states concerning the workshop objectives. Ms Tricia Greaux, Marine Management Area and Habitat Monitoring Officer from the Department of Marine Resources and Ms Thema Ward Physical Planning Officer from Physical Planning, Natural Resources and Environment Department, Nevis presented a country report analyzing the challenges and opportunities present within the coastal space. 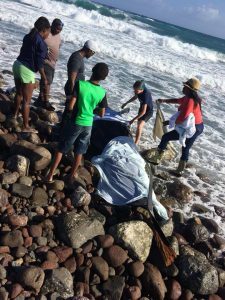 Ms Ward commented “Implementation of the local Marine Litter Action Plan will involve multiple government and non- governmental entities on both islands”. 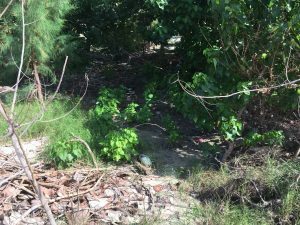 A national effort is needed to reduce the impact of the coastal degradation. 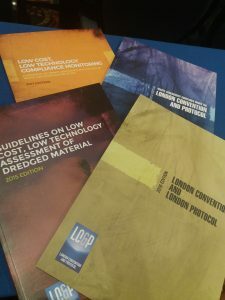 Topics covered within the workshop included; Dumping of Waste at Sea, Marine Environmental Monitoring, International Maritime Organization (IMO) Convention on Pollution Prevention, Marine Debris and designing a plan for monitoring marine beach debris. “We hope everyone does their part to reduce land based sources of pollution. 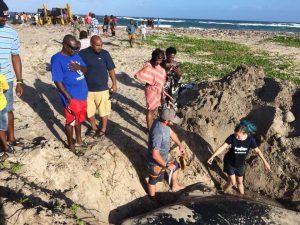 Locals should also to assist in the management of the marine environment through compliance laws and actively participating in the education and awareness efforts “said Tricia Greaux. 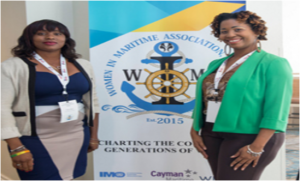 The Federation of St.Kitts and Nevis was represented at the Women in Maritime Association, Caribbean (WiMAC) conference “Charting the course for generations of women” held in Grand Cayman, Cayman Islands from 5th to 9th September, 2016. 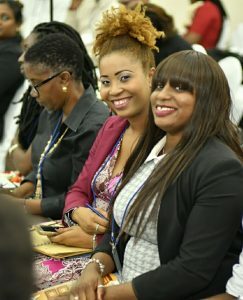 Among the seventy five delegates were Tricia Greaux -Department of Marine Resources and Thema Ward – Physical Planning, Natural Resources and Environment Nevis representing St.Kitts and Nevis. 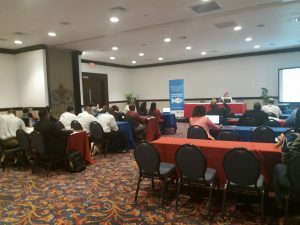 The conference was held in collaboration with the Maritime Authority of the Cayman Islands under the auspices of the International Maritime Organization (IMO). The conference focused on current an d emerging development trends that are impacting different areas and sub-sectors in the maritime sphere in the context of women’s rights and access. While also providing a forum for the exchanging of experiences and best practices amongst maritime women of the region and for the participants to benefit from global experiences and advancements from a range of strategic partner agencies that can be used to form gender-sensitive standards and strategic directions. 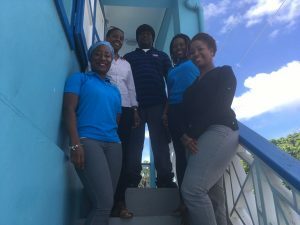 One of the conference activities included WiMAC executive and members visited school to sensitize the young girls of the Cayman Islands about careers in the maritime sector. 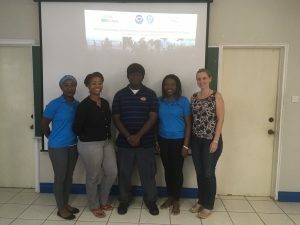 The Department of Maritime Affairs was instrumental in assisting Ms Greaux and Ms Ward to deliver a presentation outlining the maritime sector of St. Kitts-Nevis. 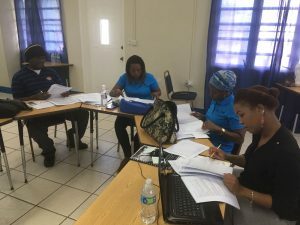 Ms Ward now serves as St.Kitts and Nevis Liaison for WiMAC and Ms Greaux as the Alternate Liaison. They have been commissioned to charter a WiMAC Chapter for St.Kitts and Nevis. IMO, through its gender and capacity-building programme SDG 5: Strengthening the maritime sector, will provide support to women managers in the maritime and port sectors of the Caribbean with a view to; strengthening WiMAC’s regional cooperation network, further develop the viability of the Caribbean maritime system, the role and contribution of women to the maritime sector, contribute to the implementation of IMO instruments throughout the regional, and increase career development and advanced training opportunities. 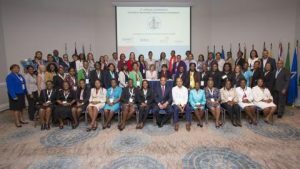 For more information on the Women in Maritime Association, Caribbean (WiMAC) see website link below http://www.wimacaribbean.com/.